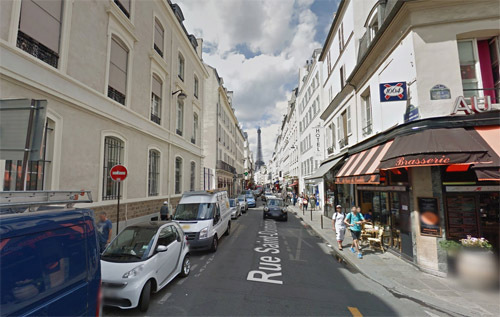 The rue Saint-Dominique is a street in the 7th arrondissement of Paris. It was formerly known as chemin de la Longue Raye (1355), chemin des Treilles (1433), chemin Herbu (des Moulins à Vent) (1523), chemin de l’Oseraie (1527), chemin du Port (1530), chemin des Vaches (1542), chemin de la Justice and chemin des Charbonniers. It was renamed rue Saint-Dominique in 1643 after the Dominican monastery set up a few years earlier near the eastern end of the street (now absorbed by the Boulevard Saint-Germain), whose only remnant is the église Saint-Thomas-d’Aquin on the place Saint-Thomas-d’Aquin (called place des Jacobins until 1802, after the Dominicans). In 1670, Jeanne Baptiste d’Albert de Luynes was born at number 33, the Hôtel de Luynes. It is now destroyed. The Rue Saint-Dominique is crossed by the Esplanade des Invalides. The 7th arrondissement of Paris is one of the 20 arrondissements (administrative districts) of the capital city of France. It includes some of the major tourist attractions of Paris, such as the Eiffel Tower and the Hôtel des Invalides (Napoléon’s resting place), and a concentration of such world-famous museums as the Musée d’Orsay, Musée Rodin, and the Musée du quai Branly. Situated on the Rive Gauche—the “Left”, or Southern, bank of the River Seine—this central arrondissement, which includes the historical aristocratic neighbourhood of Faubourg Saint-Germain, contains a number of French national institutions, among them the French National Assembly and numerous government ministries. 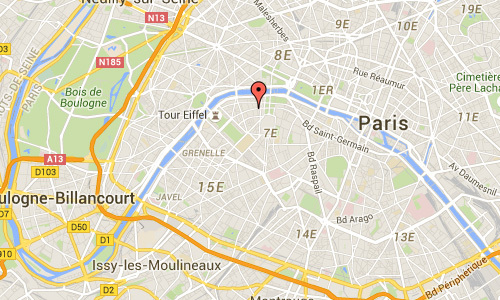 It is also home to many foreign diplomatic embassies, some of them occupying outstanding Hôtels particuliers. The arrondissement is home to the French upper class since the 17th century, when it became the new residence of French highest nobility. 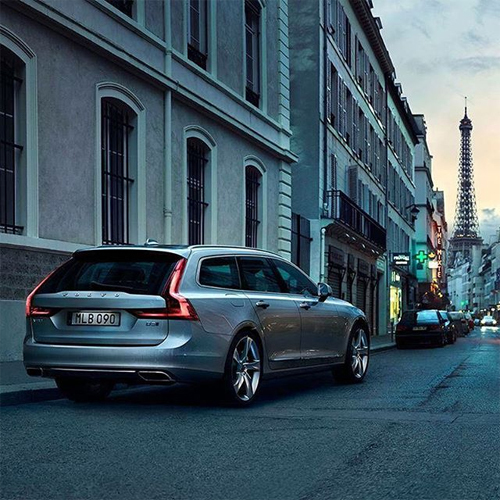 The district has been so fashionable within the French aristocracy that the phrase le Faubourg—referring to the ancient name of the current 7th arrondissement—has been used to describe French nobility ever since. 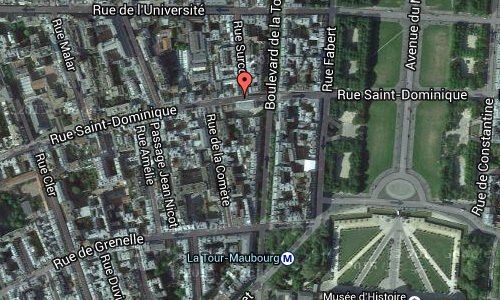 The 7th arrondissement of Paris and Neuilly-sur-Seine form the most affluent and prestigious residential area in France. 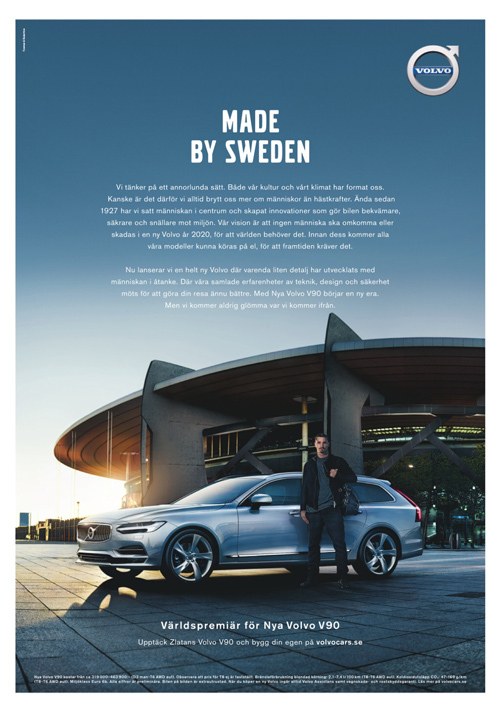 Volvo Cars is teaming up with footballing icon Zlatan Ibrahimović again for the European launch campaign of the V90 premium estate in advance of the European Championships football tournament. The campaign went live tonight on national TV stations and on social media platforms. 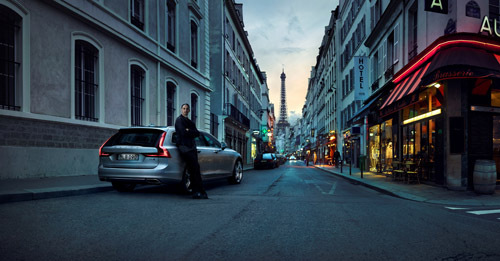 The new campaign shows the former Paris Saint-Germain striker, a long-time Volvo driver and fan, looking back at his rise from humble beginnings in one of Sweden’s toughest neighbourhoods in Malmö to international sporting stardom. “The campaign is a celebration of the independent mind, of the power that lies in the ability to think differently. 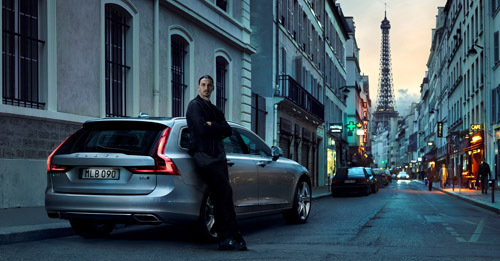 There are many similarities between Zlatan’s and Volvo’s journeys. We haven’t gotten to where we are now by doing the same as everyone else,” said Anders Gustafsson, Senior Vice President, Europe, Middle East and Africa at Volvo Car Group. More information at en.wikipedia.org/wiki/Rue_Saint-Dominique and en.wikipedia.org/wiki/7th_arrondissement_of_Paris.